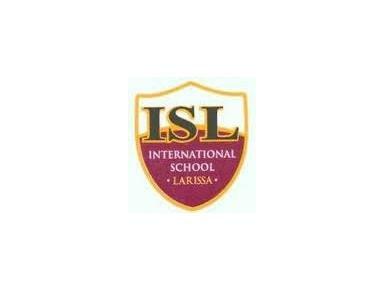 The "International School of Larissa" is a comprehensive community school, which caters for students from Reception to Year 12. The school prides itself on good parent-teacher relationships and provides a safe, supportive and well-ordered environment in which children develop empathy for others as well as confidence, responsibility and a strong desire to learn and achieve. ISL is rich in what it offers to students. It is a School with a broad range of activities available such as music, drama productions and a wide variety of competitive sports. We have small class sizes and a wide range of subject offerings, equivalent to those offered by other schools. The facilities at ISL are excellent, featuring a 200 seat capacity indoor gymnasium, 2 outdoor playing courts for tennis, basketball and netball, an amphitheatre for outdoor performances, a multipurpose hall for assemblies, a modern Design and Technology Center, a well-equipped library, a state of the art Science Lab and a well equipped computer lab.